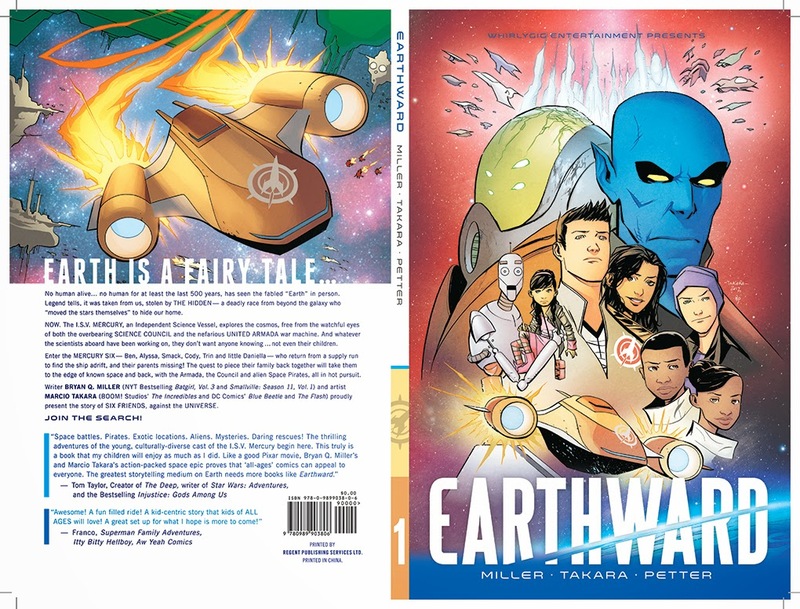 I recently did the Production work on the original graphic novel by Bryan Q. Miller and Marcio Takara's Earthward. It was a Kickstarter project so not sure if there are copies available to purchase yet. I keep everyone informed about that on twitter if I hear anything. It was an honor and a pleasure to work on this book and I am really proud of it! It looks beautiful. Huge thanks to the letterer Rob Leigh for all his support and professionalism. And also to the AMAZING designer, Dylan Todd for al his fantastic design work on the cover and interiors including chapter titles. 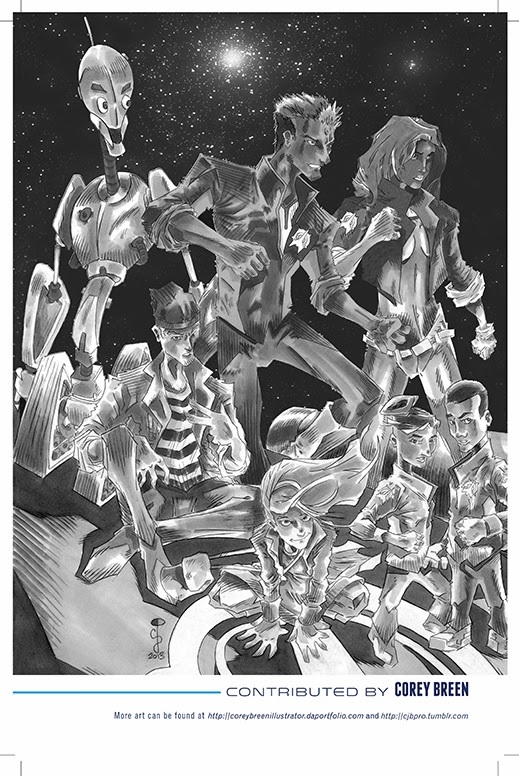 It's an incredible all-ages sic-fi adventure, and I hope you got a copy, you really enjoyed it. 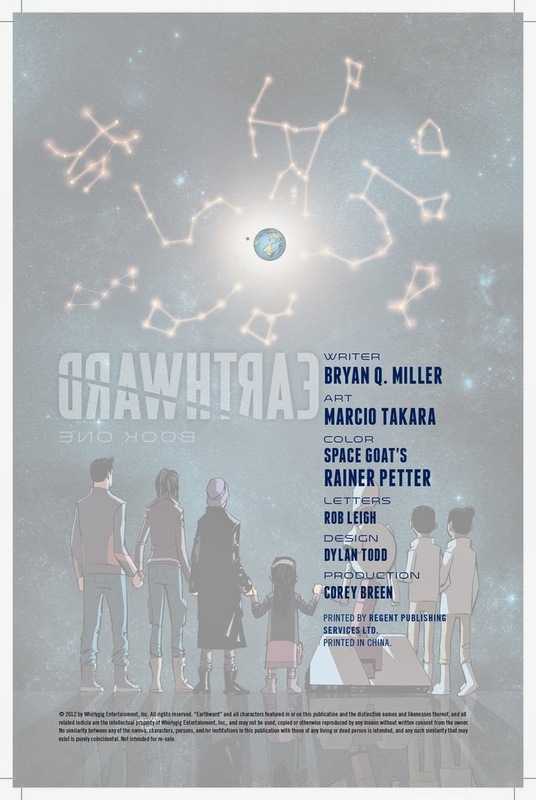 I was even able to include a black and white pin-up in the DIGITAL COPY of the book that went out to the Kickstarter backers which was really cool of Bryan to include. I can't WAIT for Volume 2!